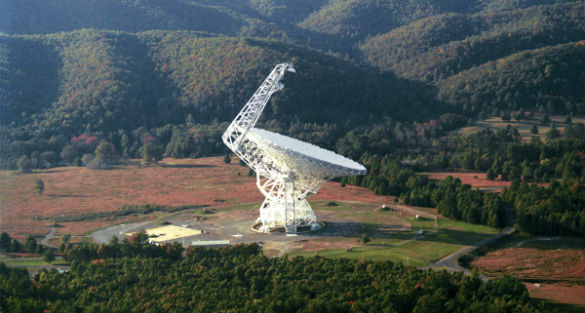 The type of signals recently observed are called fast radio bursts (FRBs). They are extremely short bursts, but also extremely bright. Most of the FRBs detected thus far have been singular events, which is not so mysterious. Scientists often discover mysterious radio transmissions, but they are typically due to cosmic events. What makes the newly discovered signals mysterious is that they repeat, unlike a cosmic event which sends out one large signal when the event takes place. FRB 121102 was discovered on November 2, 2012, giving it its name. In 2015, it was found that FRB 121102 repeats, then in 2016 it was traced back to a galaxy billions of light years away. However, scientists know of nothing in that area which would be creating a repeating signal. 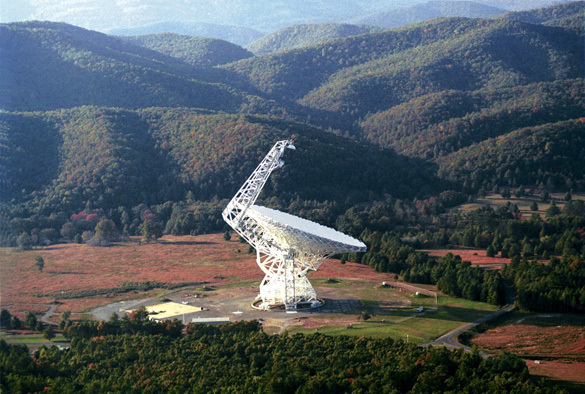 On August 26 of this year, scientists with Breakthrough Listen used the Green Bank Telescope to observe FRB 121102. They recorded ten 30-minutes scans and detected 15 bursts. This may not sound like much, but up until this point there had been less than two dozen FRBs recorded. So what could these FRBs be? Of course, not everyone agrees. A recent article in New Scientist covers some ideas scientists have come up with which would include potential alien sources for the signals. Breakthrough Listen is part of what is called the Breakthrough Initiative. It is financed by Russian billionaire Yuri Milner. While Musk, Bezos and Bigelow have decided to spend their fortunes on building spacecraft and/or habitats for humans to get to and inhabit space, Milner has decided to look for aliens. There are thee parts to the Breakthrough Initiative. The first two announced were Listen and Message. The first aimed at listening for signals from extraterrestrial civilizations, much like what the SETI Institute is known for. 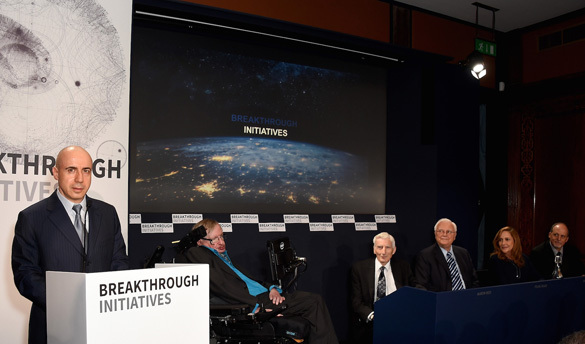 The second, Breakthrough Message, entailed a $1 million prize for the creation of messages to send to space. 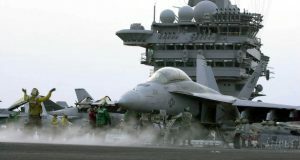 However, the messages will not be sent, probably because Stephen Hawking, an associate of the initiative, has expressed concern about what will happen if aliens find out we are here. The third, Breakthrough Starshot, plans to send hundreds of tiny spaceships to the closest star system, Alpha Centauri, to look for signs of life. 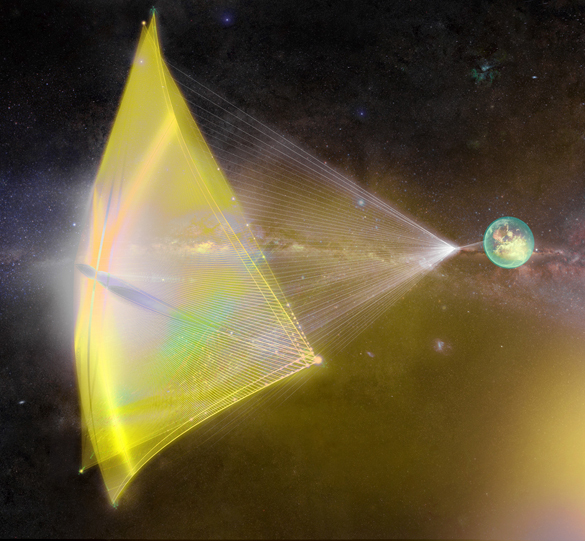 These spacecraft would largely consist of sails that are pushed along by lasers here on Earth. Once they reach their destination, the little spacecraft will have a few hours to record video and whatever other telemetry they will be able to obtain. The data will then be sent back to earth via lasers. However, because we are talking about such vast distances, the data will take four years to reach Earth, even at the speed of light. Coincidentally, or not, the New Scientist article explains that this type of spacecraft could be responsible for the FRBs. …maybe they are using these powerful radio beams to power light sails, which push spacecraft along by bouncing light off a large, reflective sheet. A sail that requires a beam as powerful as an FRB would be much bigger than any we’ve ever considered making on Earth. Such an alien light sail could carry almost a million tonnes – in contrast, the International Space Station only weighs about 420 tonnes. So, in the end, we can not be sure what is causing the FRBs, but an alien civilization is not being ruled out. At least not by everyone, especially the Breakthrough Initiative. 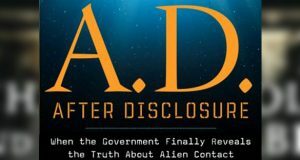 A technical summary of Breakthrough Listen’s discovery has been releases in an Astronomer’s Telegram, and will be released in further detail in an upcoming article in a scientific journal.